STARSTEM PIs Chiara Gentili and Maddalena Mastrogiacomo and their group at the University of Genoa featured in the July 2018 communication publication Ricerca & Innovazione. 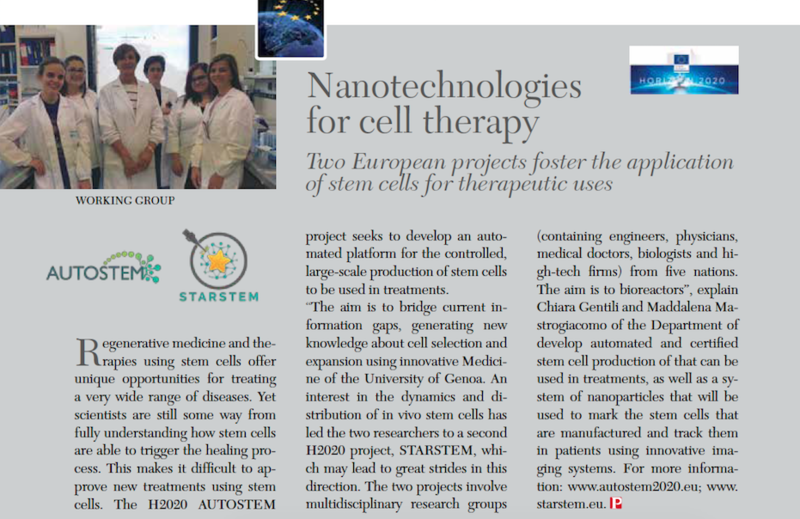 The story, “Nanotechnologies for Cell Therapy” appears on page 114. Learn more about STARSTEM here. Download the project brochure here. STARSTEM has received funding from the European Union’s Horizon 2020 research and innovation programme under grant agreement No 761214.